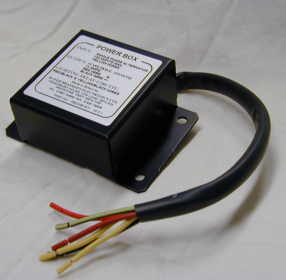 Boyer Bransden Powerbox replaces rectifier and zener diode on AC equipped bikes. You can even omit the battery (lights only function while riding). 6 wire powerbox replaces rectifier and zener diode. No power consumption when the engine is not running. Very suitable for bikes without a battery; lights only come on when the power is over 10Volts. This makes kickstarting a lot easier.